Prolexic has recently shared with EVERWORKS on interesting video about an 'Actual 160 Gbps DDoS attack being mitigated by Prolexic’s Global Network'. In Malaysia, I guess an attack of 160Gbps can actually bring down the entire nation's internet system. 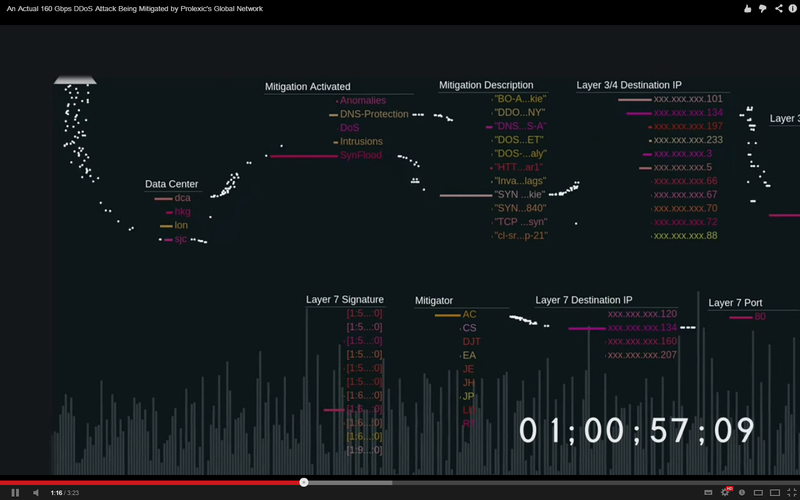 So, I think many our followers may be interested on this new video that documented by Prolexic, as well a to visualizes on how Prolexic mitigated a sustained 160 Gbps, 120 million packet-per-second (pps) attack. 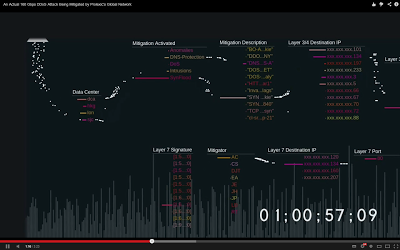 From this video, you can actually see how Prolexic's Scrubbing Center is filtering all the incoming attacked traffic before passing the clean traffic to their client. The video has bee uploaded at http://www.youtube.com/watch?feature=player_embedded&v=Hi231ER6SfE#! (The DDoS attack occurred earlier this month and was directed against one of Prolexic’s enterprise clients in April, 2013). Prolexic Technologies is the world’s largest, most trusted distributed denial of service (DDoS) protection and mitigation provider. Able to absorb the largest and most complex DDoS attacks ever launched, Prolexic protects and restores mission-critical, Internet-facing infrastructures for global enterprises and government agencies within minutes. Ten of the world’s largest banks, as well as leading companies in e-Commerce, payment processing, travel and hospitality, gaming, and other at-risk industries rely on Prolexic for DDoS protection.